Donald J. Nelson, a commercial photographer, musician, athlete, and philanthropist, died Monday, August 20, in Kenmore Mercy Hospital. He was 89. Born in Wausau, Wisconsin, Mr. Nelson lived in Hawaii for 47 years with his wife, the former Barbara Czurles, before returning in 2006 to her childhood home in Kenmore, New York. After serving in the Army Air Corps in experimental armaments at Wright-Patterson Field during World War II, Mr. Nelson was a photographer on the staff of the Dayton Daily News for 10 years. In 1960, he established the Nelson Photo Company in Honolulu, Hawaii. Specializing in advertising and architectural photography, he received awards from the Professional Photographers of America and the American Institute of Architects. His pictures were published in Architectural Design, Architectural Digest, and numerous newspapers and advertising industry magazines. Mr. Nelson was an avid tennis player, achieving Hawaii State ranking in men’s doubles, and he continued playing tennis almost daily until he was 80. He was also a pilot and enjoyed sailing and ocean kayaking. A versatile musician, he played flute, accordion, and saxophone, was a cellist in the Honolulu Community Orchestra, and sang duets with his wife in churches and at the International Market Place in Waikiki. The Nelsons have been longtime contributors to the Stanley A. Czurles Award for Excellence in Art Education at Buffalo State, a recognition named for Mr. Nelson’s father-in-law, the late professor emeritus who founded the Art Education Department . “His work led to all of the art programs at the college today,” Mr. Nelson said. The bond with Buffalo State strengthened further when the Nelsons returned to Western New York and established a major legacy for the university as part of their estate planning, and then decided to donate in their lifetimes the amount the endowment will generate annually. 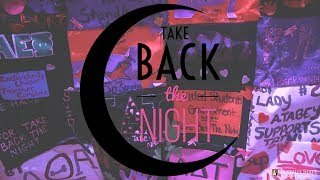 “We knew we wanted to support people, not things,” said Mr. Nelson. They established one scholarship in each of the five art areas—art conservation, art education, design, fine arts, and interior design. Because the Nelsons are both musicians, they established a sixth scholarship for music. 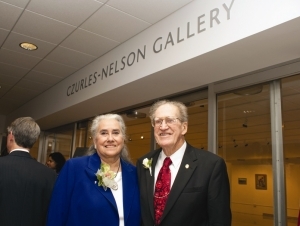 In October 2009, Buffalo State held a dedication ceremony for the newly named Czurles-Nelson Gallery in Upton Hall on campus. Mr. Nelson’s survivors include his wife of 50 years, the former Barbara Czurles; a brother, Robert F. Nelson, of Pewaukee, Wisconsin; and nieces and nephews. Friends may call from 1:00 to 4:00 and 6:00 to 8:00 p.m. on Friday, August 24, at the Ginnane Funeral Home, 3215 Delaware Avenue, Kenmore, New York 14217. A service will follow at 8:00 p.m., preceded by a musical prelude at 7:30 p.m. Burial will be Saturday, September 1, at 1:00 p.m. in Maple Grove Cemetery, Machias, New York. Contributions to the Nelson Scholarship Fund at Buffalo State, c/o the Buffalo State College Foundation, 1300 Elmwood Avenue, Buffalo, New York 14222, are appreciated in lieu of flowers.